We are often asked to complement a railings or fencing project with bespoke features and decorative metal archways are a perfect way to bring emphasis to a logo, symbol or a heritage or cultural theme. 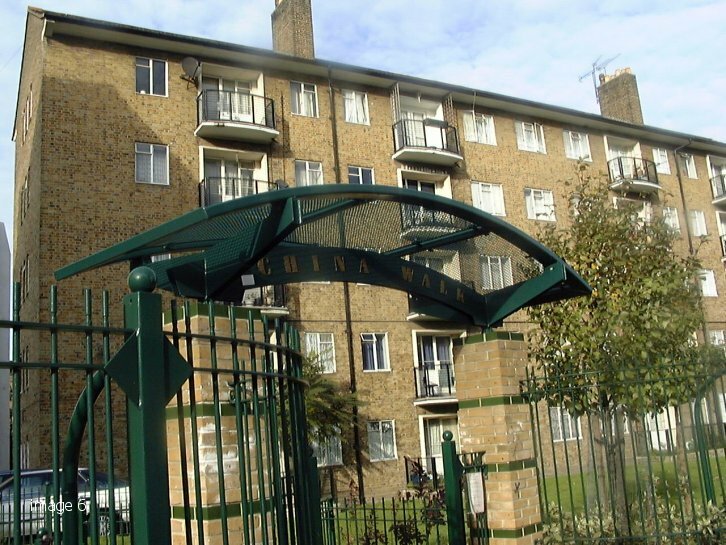 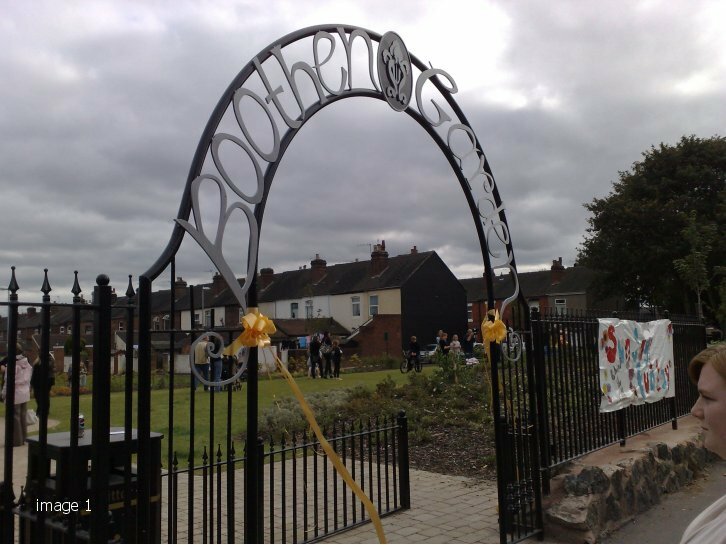 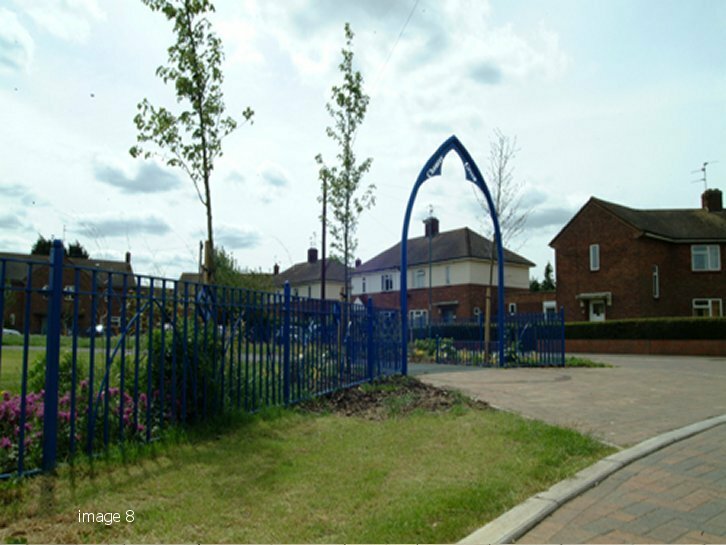 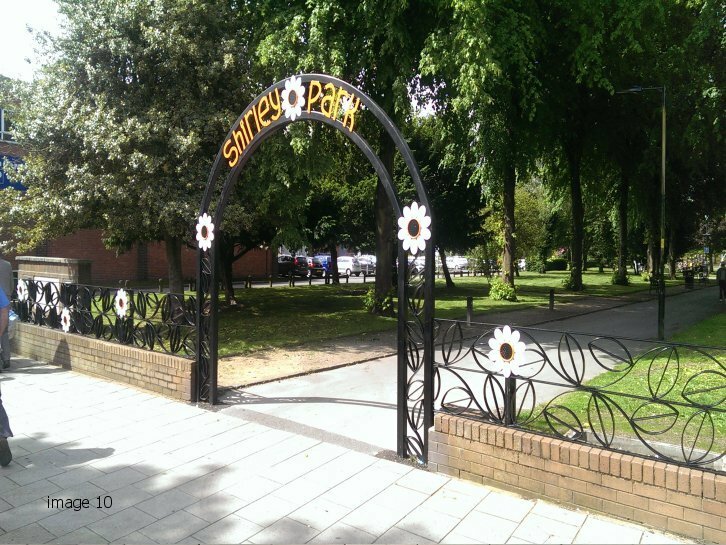 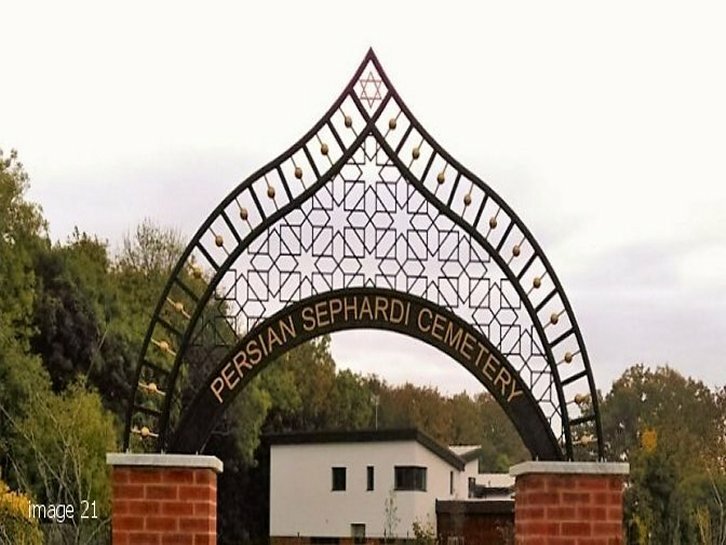 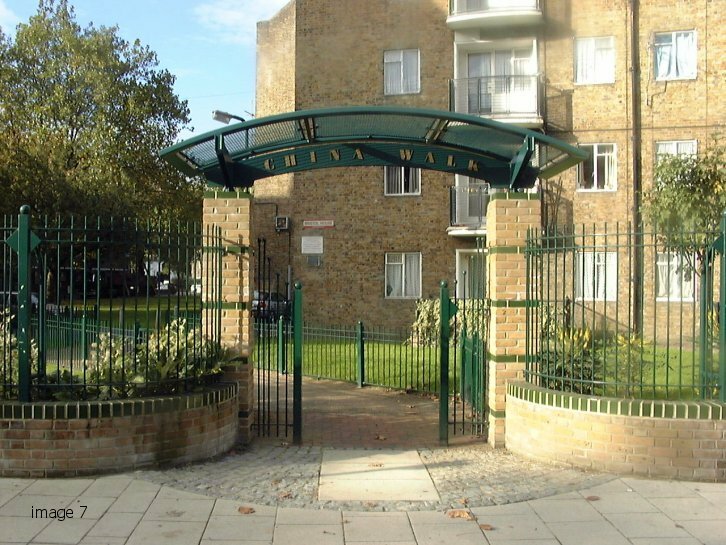 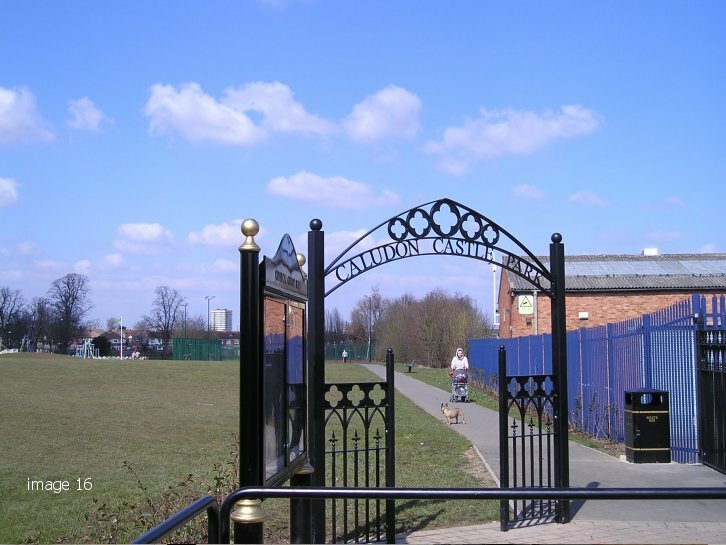 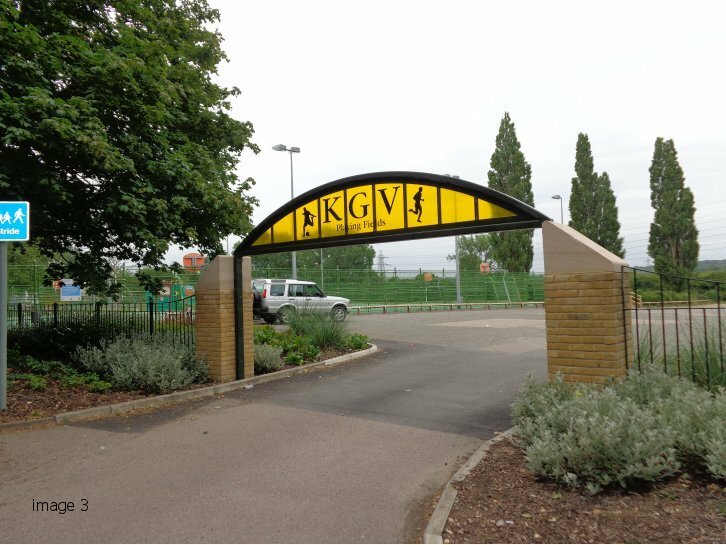 We have manufactured decorative metal archways for a variety of projects, including entrances to public parks and gardens, cemeteries, museums and town centres. 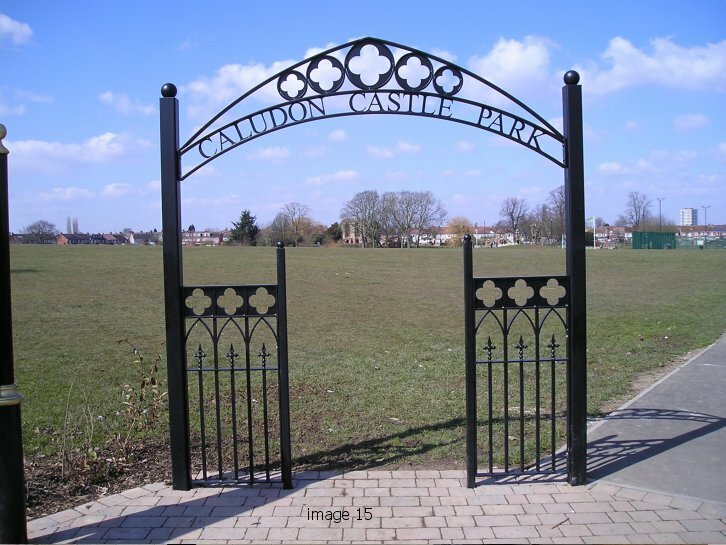 We are able to incorporate all sorts of unique designs, from lettering, flowers, logos and drawings. 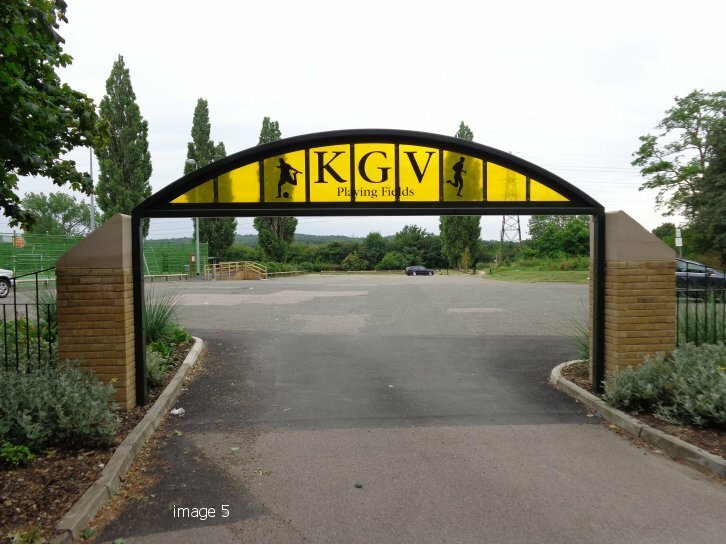 Our CAD technicians are very adept at turning hand sketches into 3D images which show you exactly how your finished project will look once it is complete. 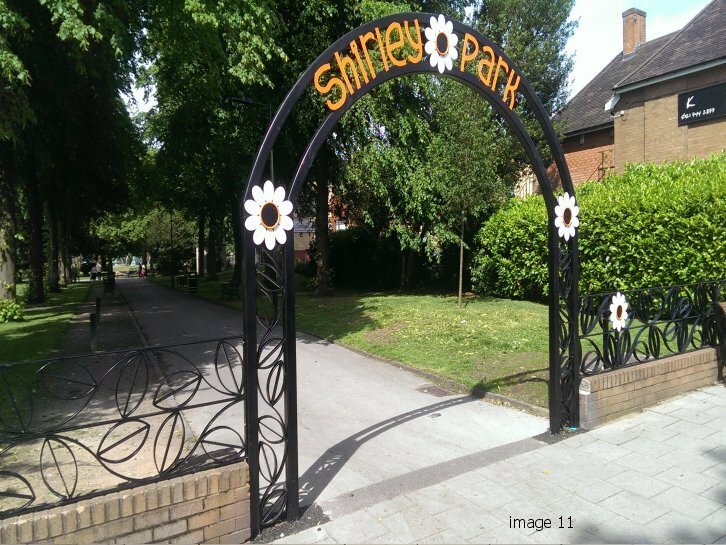 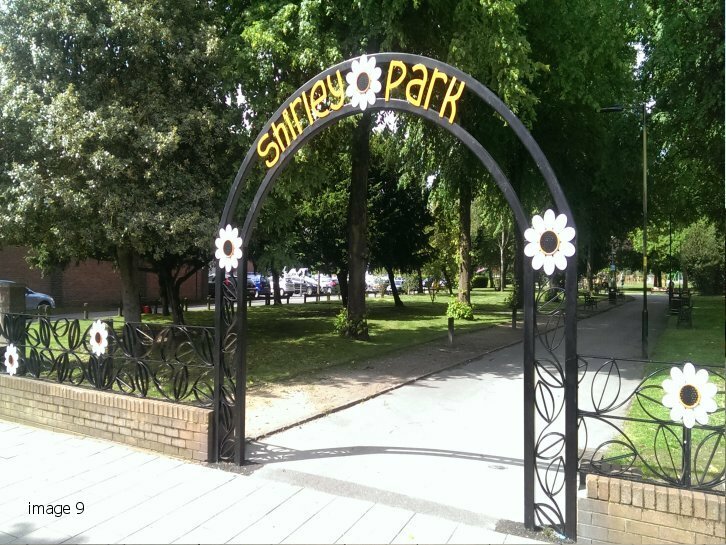 The entrance to Shirley Park started out as a hand drawing and the finished metalwork is stunningly ornate with blooming flowers and ivy winding its way along the archway. 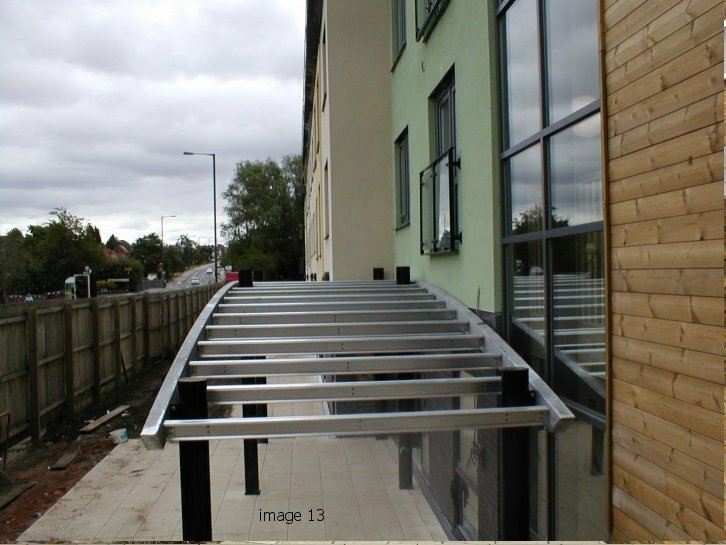 “A very straight forward and professional service was offered from start to finish. 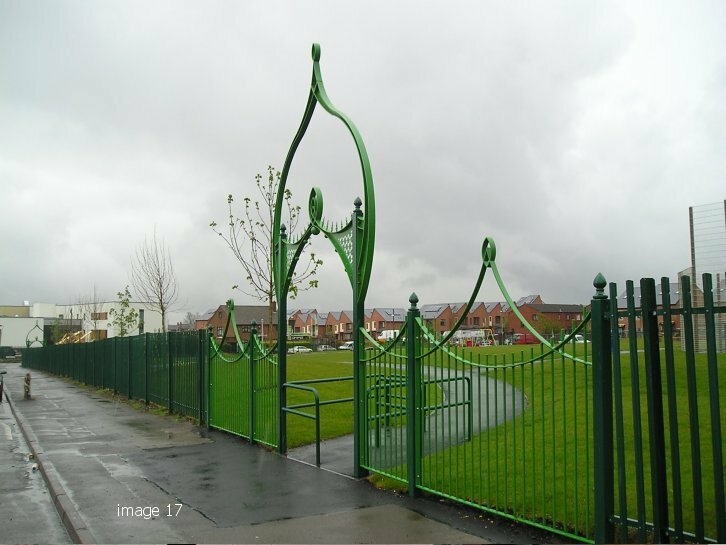 Fabrication was managed in a timely fashion and flexibility offered in agreeing an installation date to co-ordinate with the play area installation that was also taking place on site. 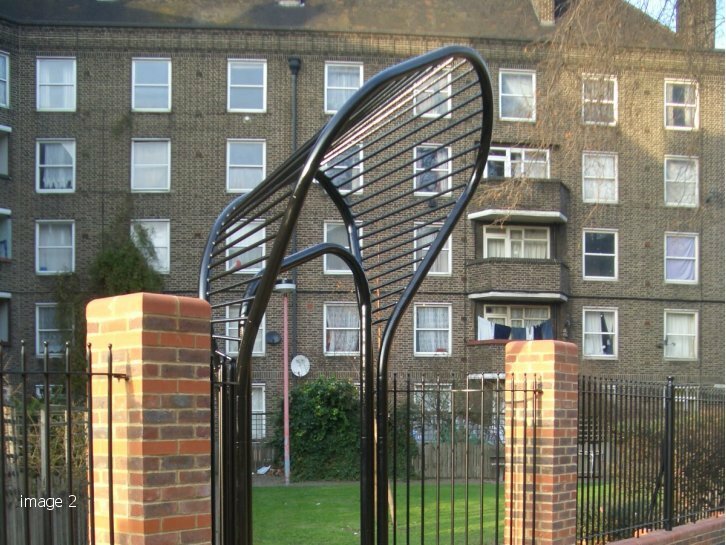 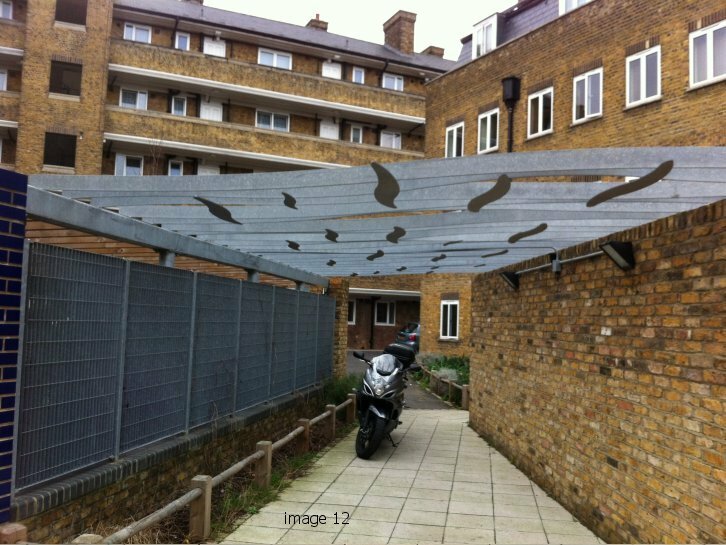 The team attended site as agreed and undertook the installation and managed restricted access to the site as required. 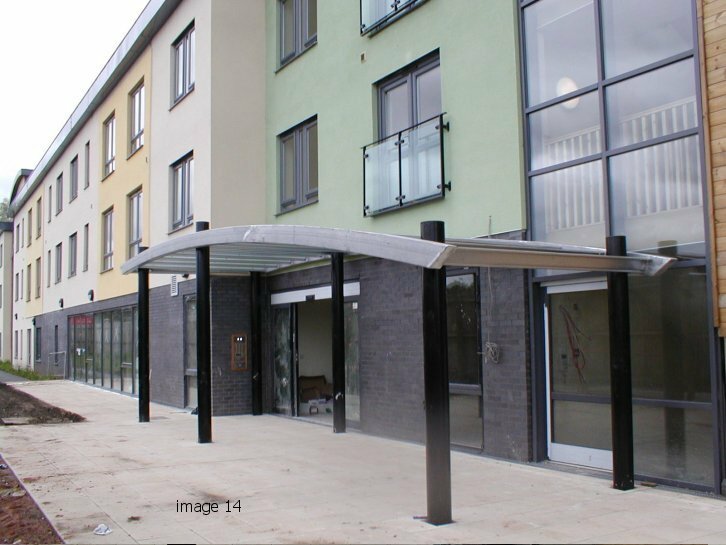 The installation was completed in good time and no complaints were received. 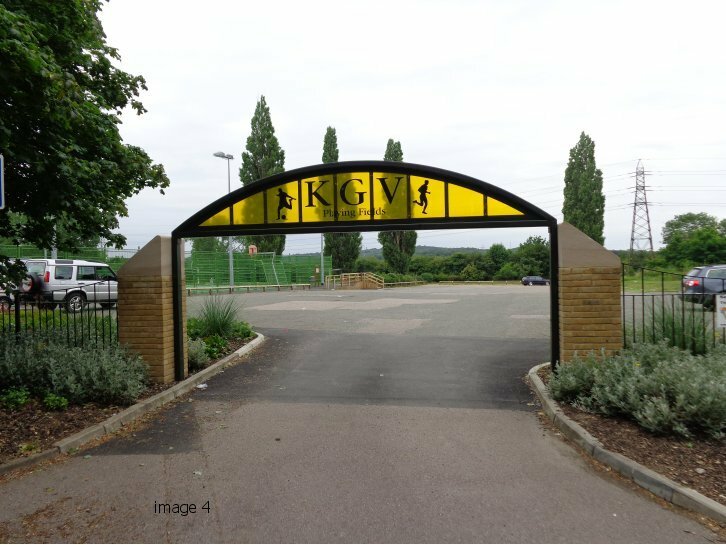 The completed installation provided an entrance archway that was very much as envisaged from the conceptual drawings, providing the entrance with the identity we anticipated. 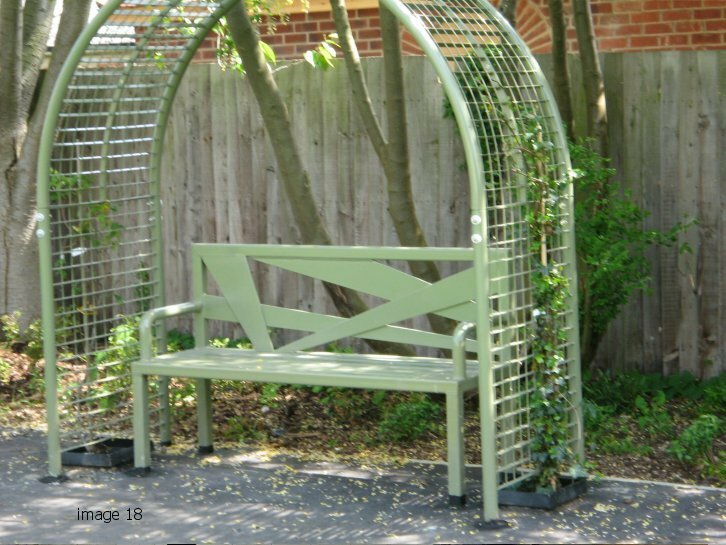 Materials and finish all appear to be of a high standard, and all staff were friendly and very helpful. 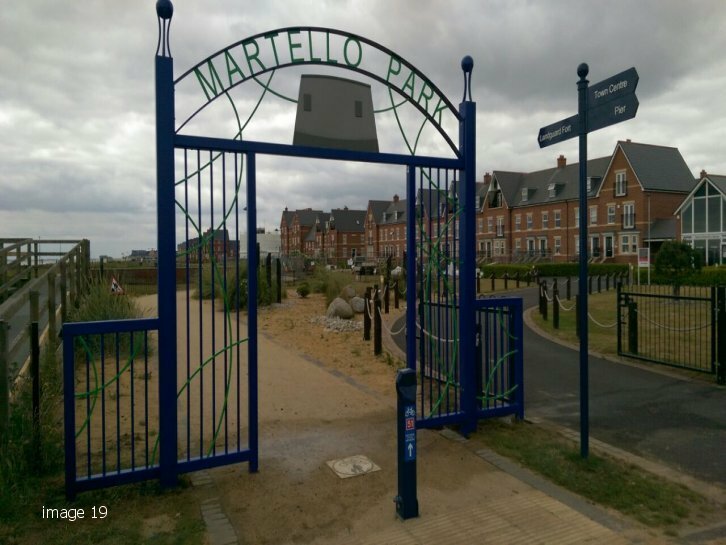 I would have no hesitation in recommending Alpha Rail on future projects.” Simon Walker – Property Services Manager, Martello Park, Felixstowe.